As the Pittsburgh Steelers prepare for life without Ben Roethlisberger for at least the next four to five games, possibly longer due to complications of Roethlisberger’s bone bruise, the coaching staff has to find ways to alter the offense and work around Michael Vick’s strength’s as a passer. Vick, 6-13 over his last 19 starts dating back to the end of the 2012 season, is a quarterback at this stage of his career that’s built on play-action passes. 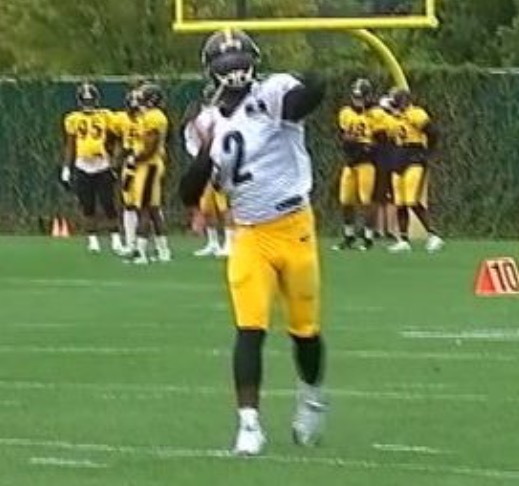 He can still wing the ball deep and his arm strength will be an asset and the Steelers are going to have to capitalize on Vick’s ability to still throw a good deep ball when they get 1-on-1 situations on the outside. As Vick showed in the preseason and on a pass to Le’Veon Bell Sunday down the right sideline, he’s effective at putting the ball up there for a receiver to make a play. In the preseason Vick showed chemistry with Martavis Bryant who remains officially suspended for one more game but the Steelers might not play him until week 6 at the earliest. What has made Vick a backup the last couple seasons and someone who struggled to find work this past off-season is the accuracy issues and his struggles to read defenses as the physical skills have started to deteriorate. The book on defending Vick is creating pressure on the outside, forcing him to step up and have to make a quick throw under pressure. Over his last 17 starts Vick’s completion percentage is just 53.2%. Vick’s game has always been about his physical skills. His struggles read a defense at the line of scrimmage is going to be one of the major changes with the offense, an area Ben Roethlisberger has evolved into one of the best in the game. Want the Full Story? Get "Inside Access"